Summer just got better for Century Corned Tuna consumers as the brand introduces its new variant that's bigger and one that allows for more servings. 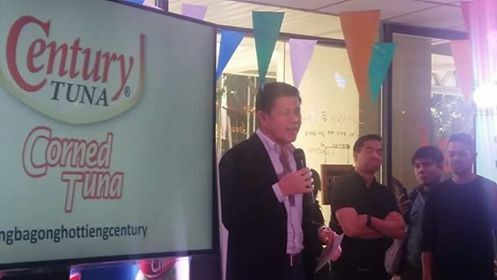 "To introduce the new variant, we're excited to welcome Luis Manzano as the newest member of the Century Tuna family. His versatility, lively and fun personality makes him an obvious choice for the brand. "~Greg Banzon, Century Pacific Food Inc. VP and General Manager. 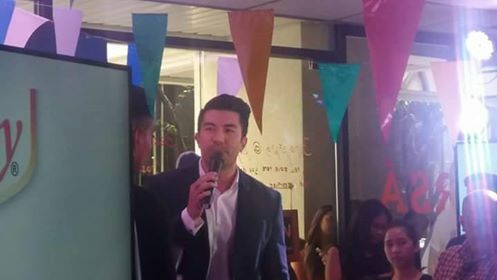 Luis Manzano has managed to successfully carve a name for himself in the entertainment industry as a versatile actor and host. He has appeared in a string of box-office hits straddling both comedy and drama. His wit, sense of humor, and instant rapport with contestants plus his wholesome attribute makes Luis a perfect fit for Century Tuna. And just like Luis Manzano's buffed physique, Century Tuna is made more bigger with the additional 25 grams for the same suggested retail price! Its distinguishing taste is made Hotter with an improved flavor that's yummier and spicier! Grab the improved chili corned tuna dubbed as Mas- Pinalaki, Mas-Pina-Hot, but with a same price and added 25% content from supermarkets near you.